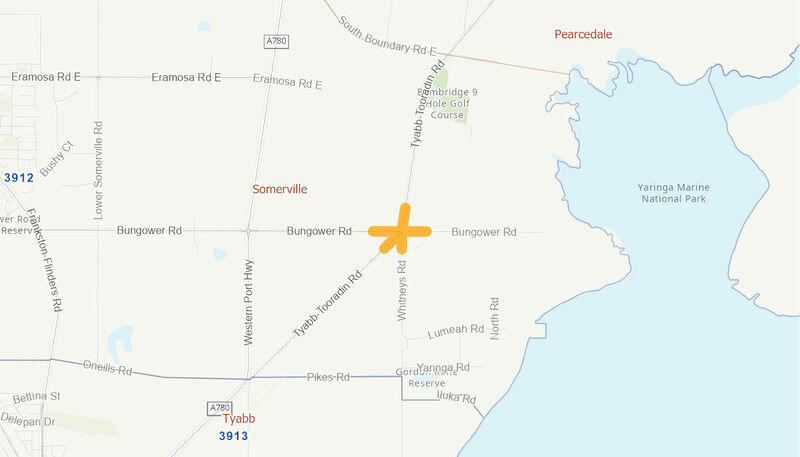 The intersections of Bungower Road and Tyabb-Tooradin Road in Somerville, is considered a high risk area which requires urgent operational improvements to reduce risk to motorists. This is a minimal standard rural Road with a poorly aligned intersection and increasing traffic volumes(from 400-4,000 vpd) on recently constructed section of Bungower Road to the west. The construction of the roundabout will improve safety risks and traffic congestion to motorist. Works will also provide for improved delineation and drainage.